I have always enjoyed a good book. One that pulls me in and gets me interested. Little did I know, that teaching a teenage boy about the other side of a story, the terms and devices of literature, could be so hard. We struggled with learning all the good parts of the novels and stories I wanted to him to learn from, until we found Illuminating Literature: Characters in Crisis from Writing with Sharon Watson. We have had to chance to try many of Sharon’s other curriculum, including her Illuminating Literature: When Worlds Collide, so I was excited to use this with Moe Man! 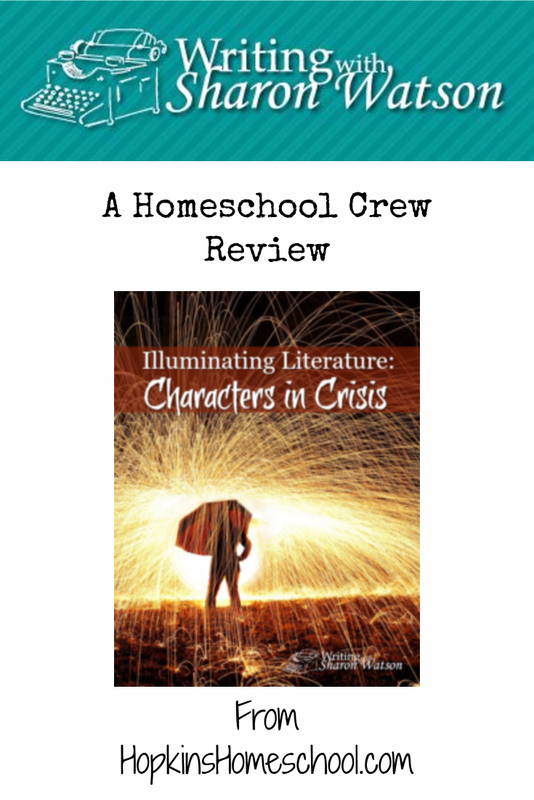 Illuminating Literature: Characters in Crisis is a Christian High School Literature curriculum. It is a full year’s worth of lesson and will earn your child a full credit. For this review, we used the student textbook, the teacher’s guide, quiz and answer manual and the novel notebook (which is free). During this curriculum, your child will read a variety of works, from short works to actual books. 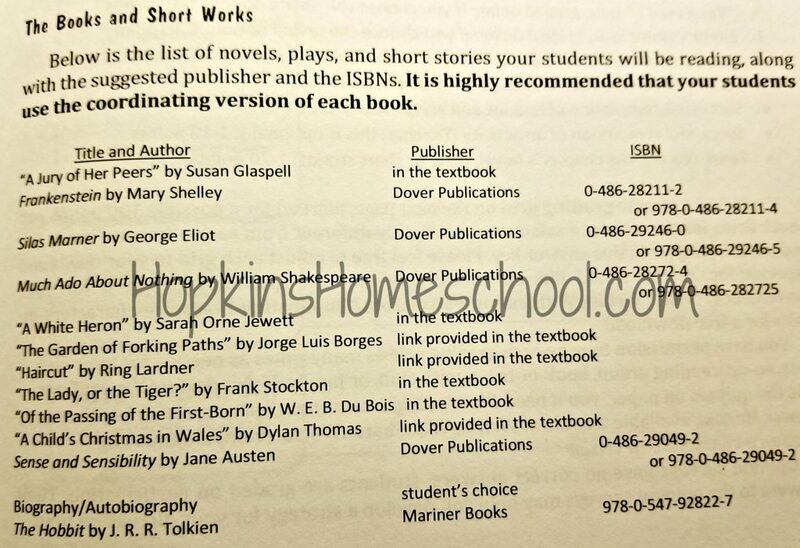 The short works are included within the student textbook, but the books will need to be purchased separately. Sharon does show the recommended versions. These are Frankenstein, Silas Marner, Much Ado About Nothing, Sense and Sensibility, The Hobbit and a student choice of biography/autobiography. 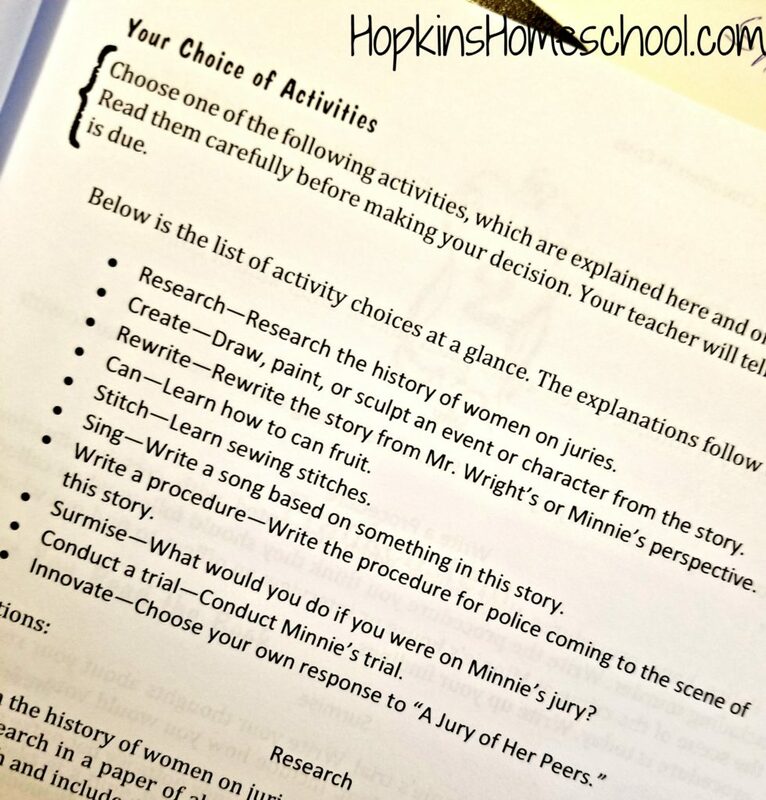 There are many different ways to use this curriculum, as your literature course in your homeschool, as a part of your homeschool co-op or as a book of the month style club. 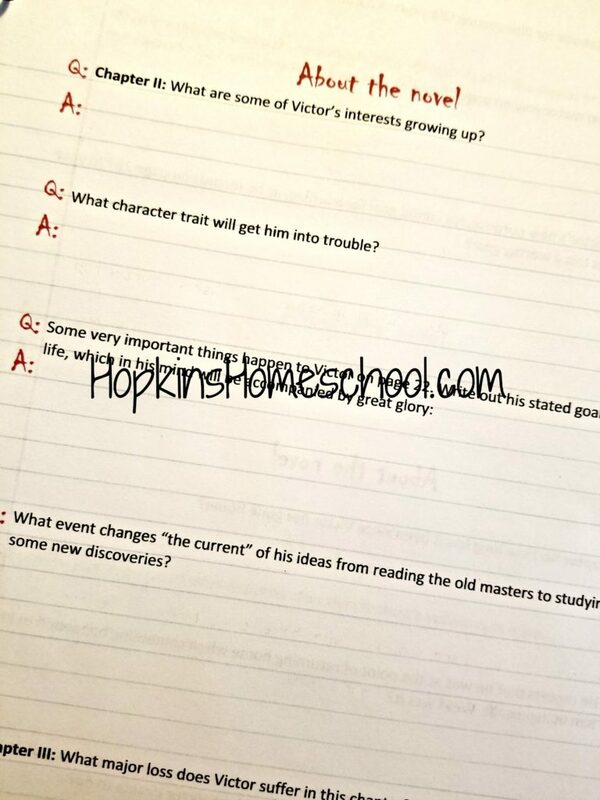 We picked the homeschool literature course. Upon doing so, I spent some time looking over the teacher’s guide and setting up our schedule. The teacher’s guide sets up the lessons in an easy to understand way for you. 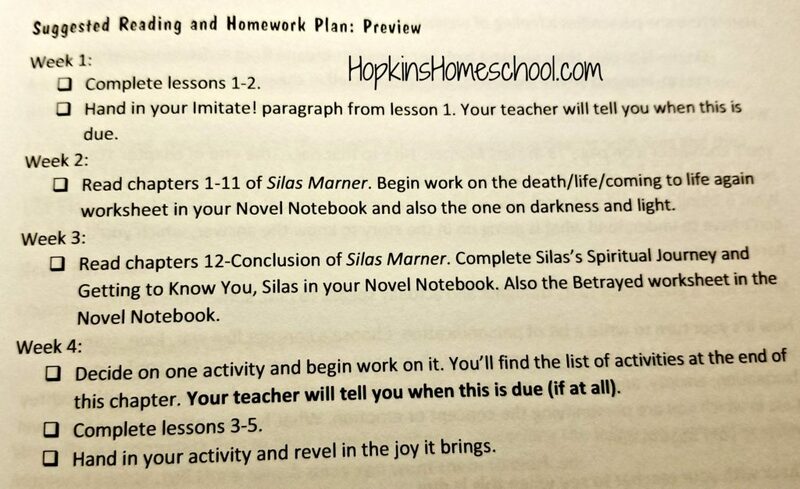 There is a suggested reading and homework plan that will allow you to see how long each book will take. Your child will start off by learning about the book and the author during their first week. They will learn about literary terms and devices. The second and third weeks are spent reading the book, and working in the novel notebook. These are the fun weeks, I had Moe Man reading for all 14 days instead of just Monday-Friday, only because that meant his readings were smaller each day. Finishing up the last week of the month, you finish up the rest of the lessons. These include quizzes like the “Yes, I read it” Quiz and the Literary Terms Quiz that can be found online or in the Quiz and Answer Manual. Your child will also work on one activity to go with the book. These activities range from writing or rewriting parts of the book, watching a movie drawing a picture or creating music or arts. These activities make it fun, no matter your child’s learning style or interests. Sharon Watson can take a “boring” book and make it come alive for my son! He has always been a reluctant reader, finding a book now and again that he would get lost in. But now, he is able to enjoy new styles of writing. He finds out about the time period, the author and the characters. He has the Novel Notebook to help him chapter by chapter. I love that this is basically an open and go curriculum on my end. I check in weekly with Moe Man, and I make sure to have the books ordered or put on hold at the library, and I love talking with him using the discussion questions, but the rest he is able to do independently. This is great, especially for such an in-depth type of curriculum! Moe Man also loves that it is independent. He loves to sit down and do things at his pace and his time. He loves that the lessons are not super long and they don’t require him to write all the time. He has found that he prefers to take the quizzes on paper, as he doesn’t feel as pressured while doing them.